Slugs tend to like being under the plastic sheet and can badly damage the crop. Take precautions such as applying nematodes or scattering slug pellets along the row prior to sheeting up. The sheeting tends to be thin and flimsy which can make it difficult to lay if there is any wind. Even when properly laid, it can be ripped to shreds by a strong wind. Because you need to leave a space between the rows for water to get into the soil, it uses more space for the crop than other methods. 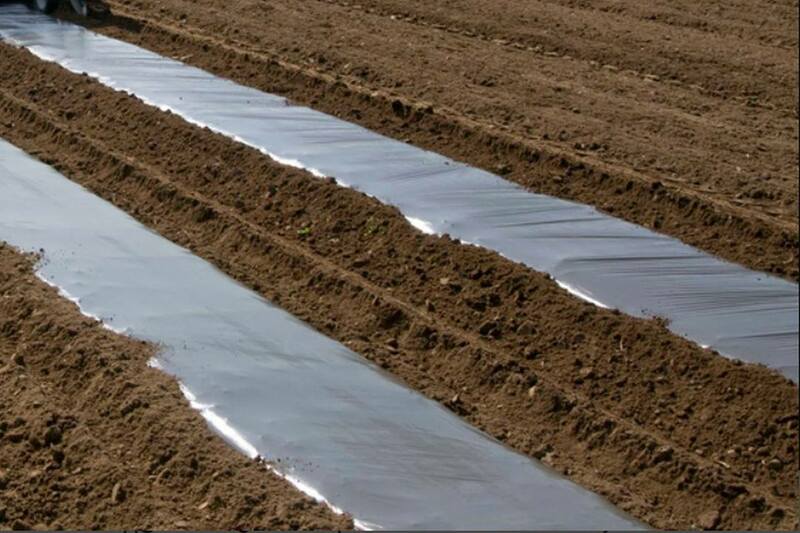 An alternative is to use a more expensive permeable sheeting that will allow water through to the crop. The sheeting is rarely re-usable so it’s an expense. One thing to consider is how you feel about covering your beds with black plastic. I personally think it looks awful and it can hardly be said to be environmentally sound or green as plastics are produced from oil and are not usually biodegradable. Harvesting is very easy, just lift the sheeting and pick up the tubers. Prepare the soil by rotavating the surface or forking and apply a layer of compost or add fertiliser. Because feeding under sheeting is not practical, you’ll need to apply a fair amount of fertiliser for the crop. Draw narrow trenches to each side of the planting row. Allow at least 30cm (1 foot) between strips of sheet so the run-off water can get into the soil. 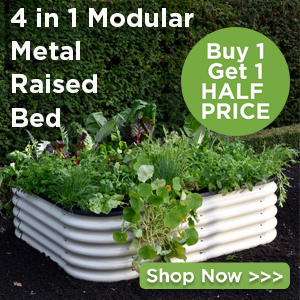 Alternatively use a porous weed matting. Lay rows of plastic sheet down and tuck the edges into a trench to hold in position but allow a little slack or the swelling tubers might force the plastic to tear. Then make a small cross cut in the plastic and plant your seed potatoes shallowly through the cut, following the standard planting spaces (see insert). The haulm will grow through the cross cut above the plastic and the crop will be protected from light underneath the sheeting. To harvest, just cut the haulm off and peel back the sheet to reveal the crop. The black plastic will absorb sunlight so warming the soil and help keep moisture in. It’s important to have a space between the rows so the rain can soak into the ground. As with mulch growing, slugs can be a problem but if you can control them you will have a clean, easy to harvest crop.